All photos by Katerina Alm. 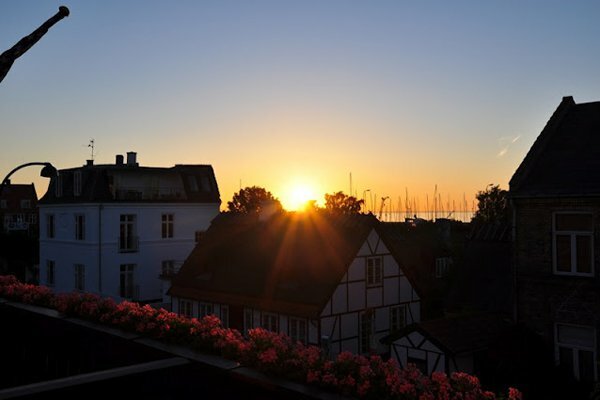 On road trip through Scandinavia, Katerina Alm of Trail of Crumbs (one of Gentedimontagna's 24 Best Travel Blogs and Websites) spends a weekend of feasting in Charlottenlund, a small seaside town in Denmark. 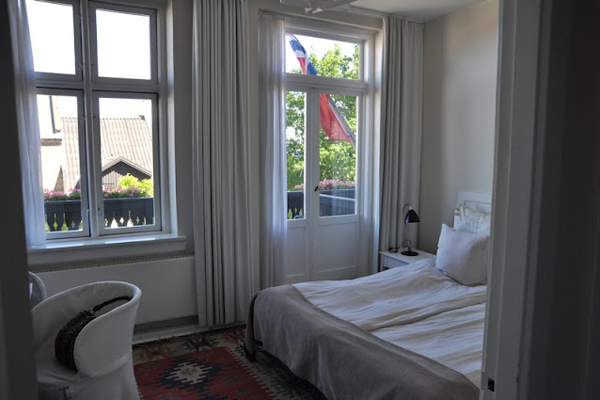 CHARLOTTENLUND, Denmark – Upon receiving invitations for two weddings in Sweden that happened to fall on consecutive weekends, a Scandic road trip was in order. The idea was to drive from Germany up to Öland, the second largest island in Sweden, then make our way over to Båstad on Sweden's southwest side, north of Denmark. 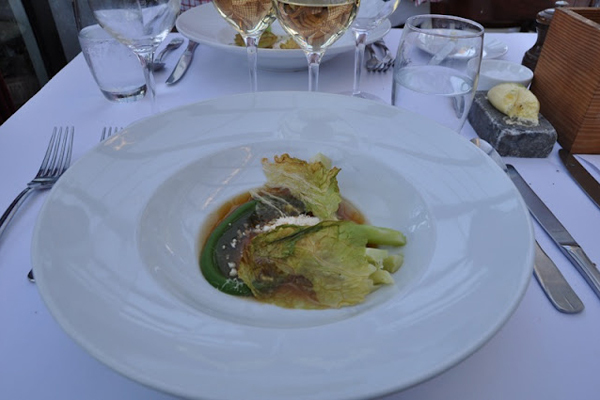 According to one of the brides, the small affluent suburb of Charlottenlund just north of Copenhagen (the former home of Danish architect Arne Jacobsen) was not to be missed. Our first stop was which is nestled on the coast in a former fishing village. 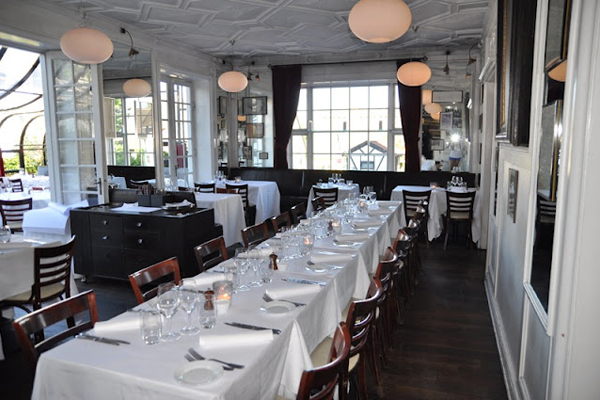 It dates back to 1660 and is a member of the . The hotel has picturesque views of the sea, 22 rooms, a Michelin-starred restaurant (our favorite part of the visit), and a chic, personalized, and cozy atmosphere. is inspired by classic dishes with origins in Italy, France, and Spain. We ordered the sensory tasting menu with wine accompaniments. 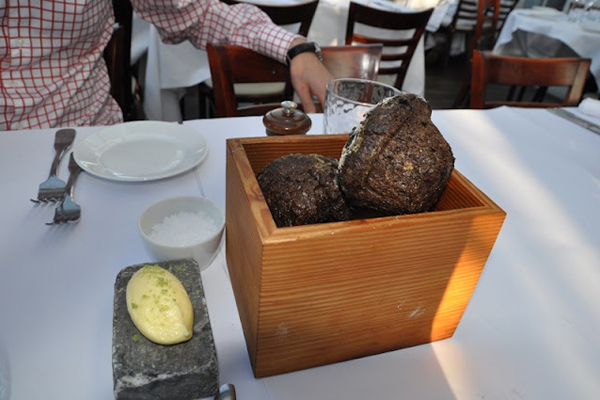 I especially liked the fresh bread served on warm rocks in a wooden box and the stone slab carrying fresh whipped butter sprinkled with green salt. The dark bread was dense, homey, and comforting. Despite our best efforts, the chef refused to give up his secret recipe, only disclosing that he baked the bread very slowly in muffin tins. Lucky for us, they served another version at breakfast. 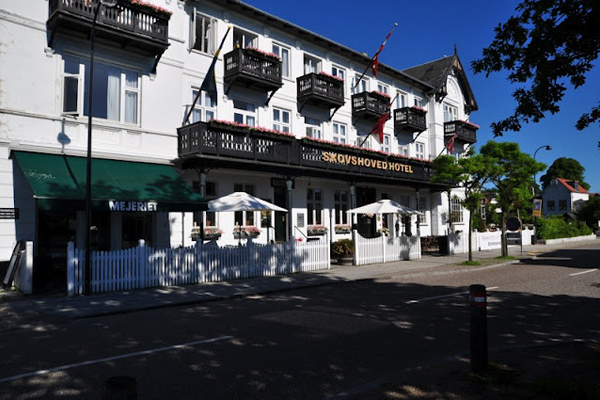 A street view of Skovshoved Hotel. Freshly baked Danish brown bread. 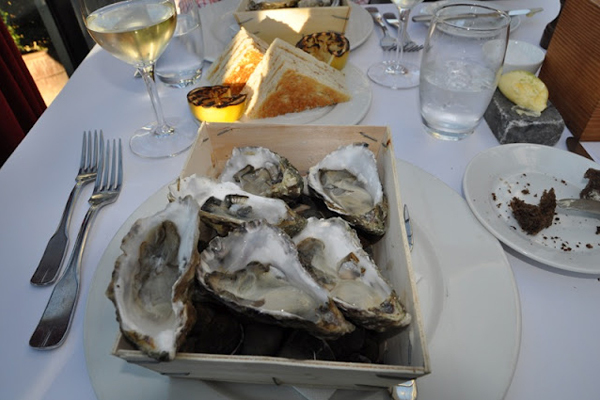 Oysters served on ice with grilled lemons and toast. Cabbage soup with broccoli purée, parmesan cheese, and bacon consommé. 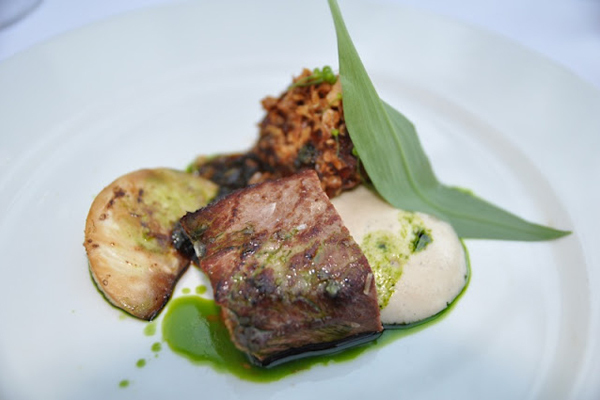 Slow-roasted lamb filet with grilled celeriac mousse and burgundy-rosemary reduction. 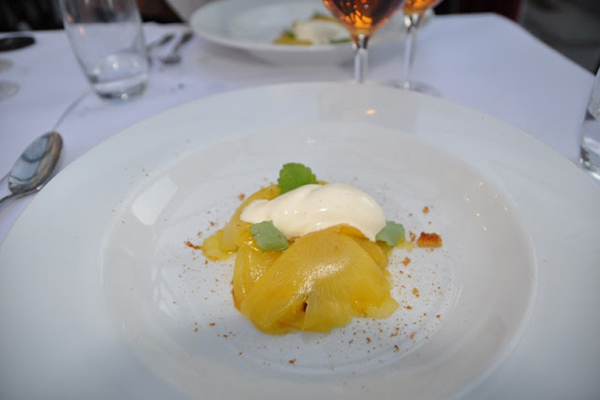 Thinly sliced pineapple with Anna's compote, salty caramel sauce, and bourbon vanilla ice cream garnished with limette leaves. 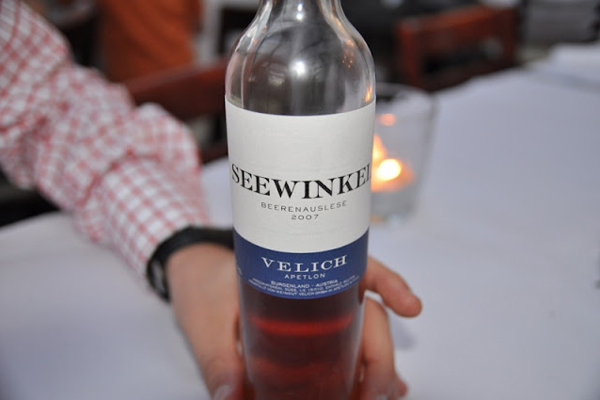 Seawinkle Beerenauslese 2007 from Velich Winery. 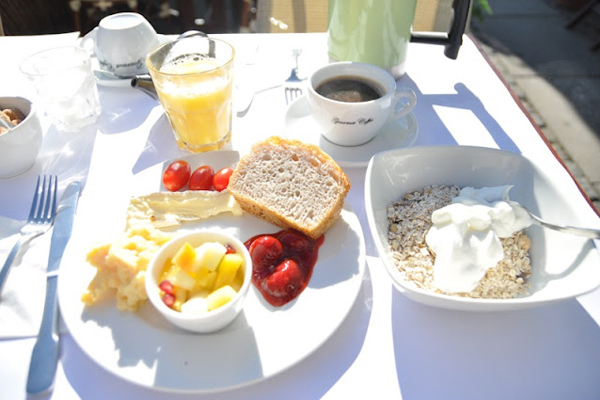 Buffet breakfast on the terrace. I went back for more bread. There's more food, more bikes, and more Danish awesomeness in our Copenhagen Guide. Katerina is a market insight specialist who spends time between Frankfurt and Rotterdam. She travels for business and for pleasure, pursuing gastronomical and cultural adventures along the way.